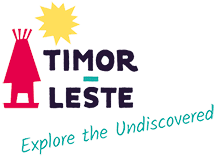 Timor-Leste is an exciting country to explore and there is a lot to see out in the districts. Hiring a vehicle and driver is a great idea if you wish to travel flexibly and in comfort. With an experienced driver you are also more likely to stay on route (many road signs are lacking) and you’ll learn much more. Part of the adventure is definitely the roads, some of which are notorious with their blind corners and pot-holes. In general the north coast road is in good condition following a major upgrade from the Batugade border to Lospalos in the east, but the roads inland crossing the mountains to the south coast are variable. Road access to Hato Builico (Mt Ramelau) and Valu (Jaco Island) requires a strong 4WD. While a standard car is fine for Dili and outskirts, hiring a 4WD is still definitely needed for travel further afield. All companies can organise drivers and this is definitely recommended. Motorcycles can also be hired by licensed riders. 4WD vehicles cost around $85-120 per day to rent and motorcycles cost $25-35. Ornate, vividly painted buses (usually crowded) provide transport daily on the main routes from Dili to Maliana, Suai, and via Baucau to Viqueque and Lospalos. Schedules and trip times vary depending on the number of stops and road conditions. Most public transport services leave early in the morning once they have filled up with passengers. Dili’s bus departure points are on the city outskirts – Becora for eastern districts, Taibessi central and southern and Tasi Tolu western. Rugged routes to more isolated locations from these centres are covered by smaller microlets (mini-buses), bemos (vans) and anggunas (trucks carrying passengers and other belongings on the back) and in some cases ojeks – motorcycle taxis which take pillion passengers. On Atauro Island getting around usually involves hiring a tuktuk (auto rickshaw) for travel between Beloi and Vila-Maumeta, a 4WD vehicle for accessing Anartutu up in the mountains, or a boat for journeying around the coast. The small colourful microlets operate on specified set routes around Dili, Baucau and other main towns. In Dili the microlets are numbered and each travels a set route. To get on hail from the roadside and to disembark tap your coin on the metal handrail and the driver will stop. Taxis are a frequent sight on Dili’s roads – there are lots of them, but operation is primarily limited to daylight hours. City fares vary between $2-5 depending on the distance. Flag them down from the roadside or ask your accommodation to organise. Those that are available in the evenings charge higher rates and have to be contacted by phone. With the yellow taxis, fares need to be negotiated prior to travel. In contrast the blue taxis provide a more consistent quality service, use taxi meters and are available in the evenings and early mornings if rung. An airport minibus shuttle service is another option if travelling between the airport and Dili (must be pre-booked). Both Oecusse and Atauro are linked by regular passenger boat services from Dili. Oecusse is serviced by the Government run, Nakroma ferry which departs Dili Sea Port twice a week (Monday and Thursday) and returns from Pante Macassar the day following. The ferry is usually crowded and the trip takes around 8-12 hours. For ferry tickets visit their office at the Dili Port. Dragon Star Shipping also runs daily services on their fast star craft between Dili and Pante Macassar, approximately 3-4 hours. There are a number of passenger boats plying the Wetar Strait between Dili and Atauro Island. Services vary from daily water taxi services (approximately 90 mins travel) to the Nakroma ferry which operates Saturday only and takes around 3 hours. All services are weather dependent, bookings are essential and charters can be arranged. From Dili, with the exception of the ferry and dragon star boat which depart the Sea Port, other services leave from the Dili waterfront, just to the east of Palacio do Governo. Returning from Atauro, departures are from Beloi. On Atauro Island, boats can be organised between Beloi and other coastal villages, including Adara on the more isolated north coast. When boating keep a look out for whales and dolphins, as sightings are common. Seabirds and flying fish are other highlights. At the eastern end of Timor-Leste, Jaco Island is only a short distance from the mainland and on arrival at Valu it is easy to arrange transportation with local fishermen. Contact boat operators and Pante Macassar, Atauro and Valu accommodation directly for more information. Timor-Leste is a compact, mountainous country and flying greatly reduces travel time to Atauro, Oecusse, Suai, Maliana, Baucau, Lospalos and Same. ZEESM, a Government Authority, operates a small aircraft between Dili and Pante Macassar, Oecusse on a scheduled daily basis (Thursday excluded). ZEESM can also arrange flight charters on this route and to other municipalities. MAF (Mission Aviation Fellowship NGO) operates from the Dili International Airport using small aircraft (up to 7 passengers). While they primarily run a medical evacuation service for Timorese living in the districts, their planes can be chartered for tourism flights to Atauro and other destinations.